Excellent condition early 1980’s Apple IIe system. 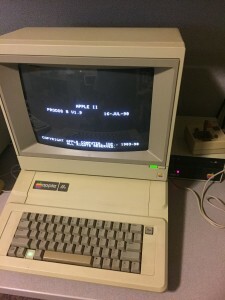 It includes ColorMonitor IIe manufactured in October 1985. We also have 2 Disk II 5.25″ Floppy drives. 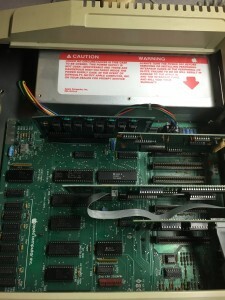 System is expanded with 64K RAM expansion/80 Column card, Printer port, DiskII controller, and Apple Mouse controller card. This is a system that we have been wanting for a very long time, and are happy to have it in the collection.